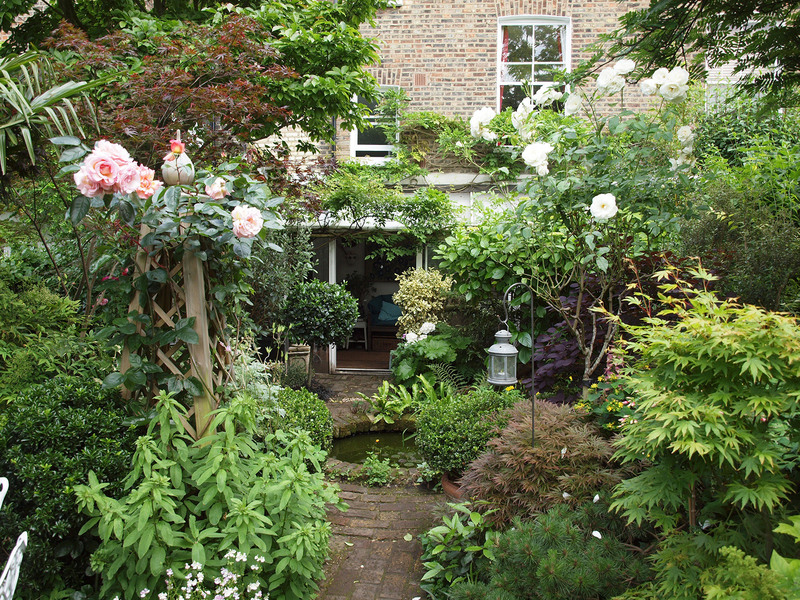 All my gardens are well-planted but some, depending on the client's taste, are more luxurious and abundant than others. These pictures are all of the same garden and were all taken on the same day in June. 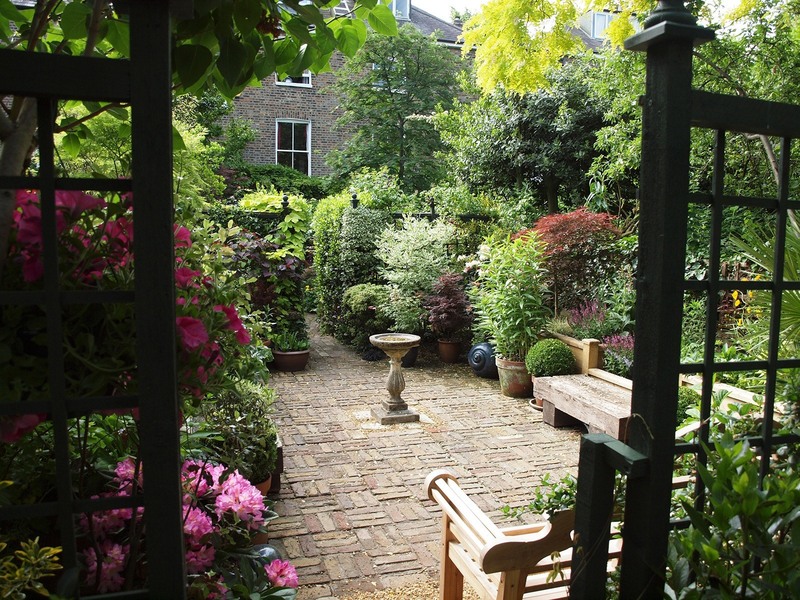 This is obviously a mature garden and it contains a number of different "rooms" with a wide choice of private seating and eating areas. 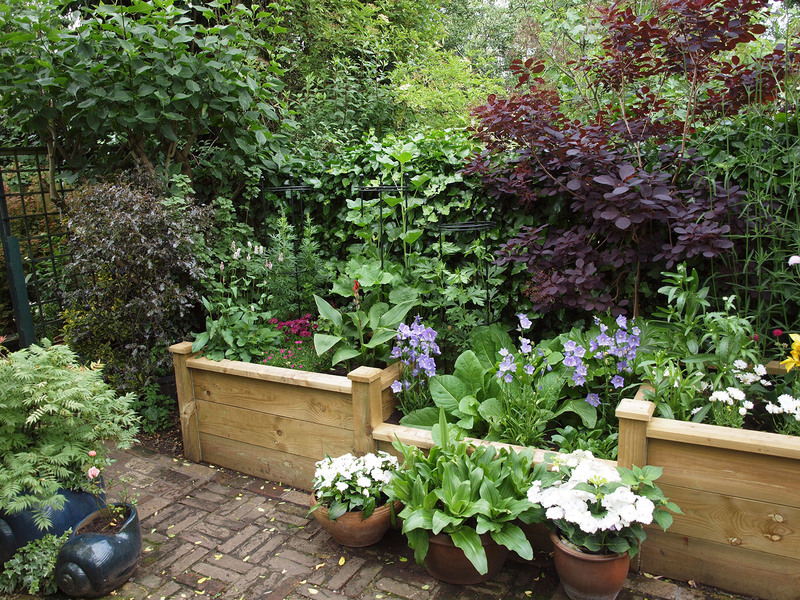 The planting is dense and designed to provide interest all year round with a succession of flowers and careful combinations of leaf texture and colour and plant shape. 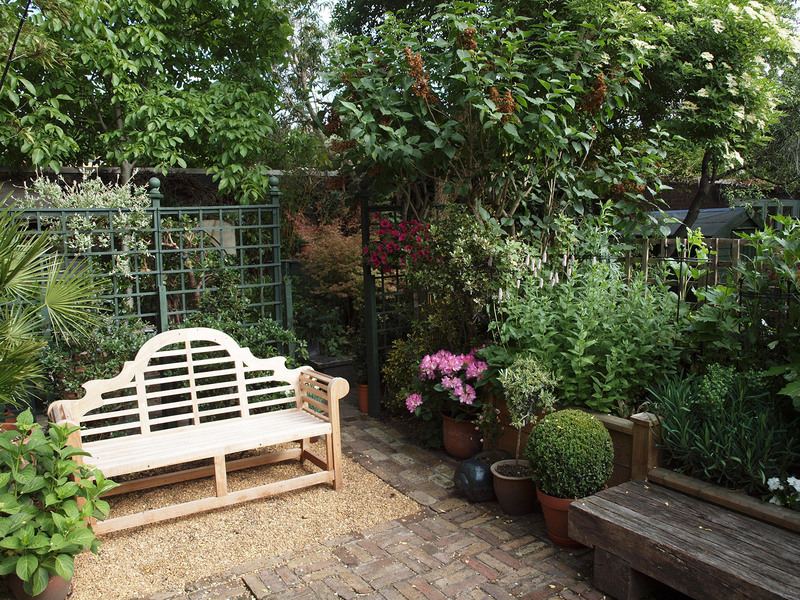 This garden provides several different sitting areas and views and offers a high level of privacy. The paved central courtyard is ideal for entertaining. 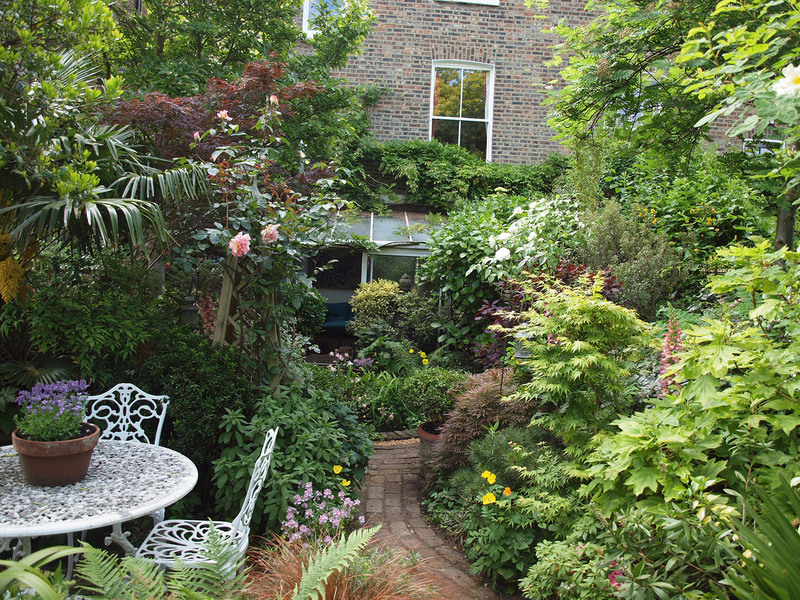 A good balance has been struck between the full, relaxed planting and a formal, traditional feel. The design conceals the rectangular shape of the plot and makes the garden feel larger than it really is. High quality raised planters are used in one section to give a change of level and increase the visual interest .